Last weekend saw our Christmas tree go up, decorated by me and Matilda late Saturday afternoon. Christmas is a big no no in our house until Matilda's birthday is well and truly over. This year, for the first time Matilda was fascinated by the boxes of sparkling, glittery decorations being unveiled. Since the shops have been filled with baubles and tinsel, she's been itching to buy car loads of the stuff, despite me explaining that we do in fact have a lot of Christmas things at home. She is exceptionally excited this year with a much clearer understanding of what the fuss is all about. On Sunday she got to experience her very first panto at Greenwich Theatre, it is a yearly tradition organised by a couple of dear friends of ours. We all go see their local Panto then pile back to theirs for delicious food and wine. We haven't been the last couple of years as Matilda has been too young to appreciate the finer subtleties of panto! We were slightly concerned as to whether she'd last out the full performance, this is a long show. 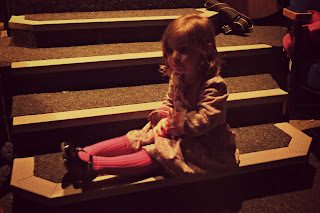 However, after an initial strop because she wasn't allowed a neon windmill (I do find those things bloody irritating when you're trying to watch a show), she quickly immersed herself in the action. She joined in the booing, clapping, the awws and the ooohs whilst providing a running commentary to her Daddy too. Funnily enough it was the husband's first ever panto too. She sat very well throughout the entire show becoming only a tiny bit restless towards the end. It was wonderful to introduce her to this funny British theatrical tradition which has firmly ensconced itself into our cultural heritage. 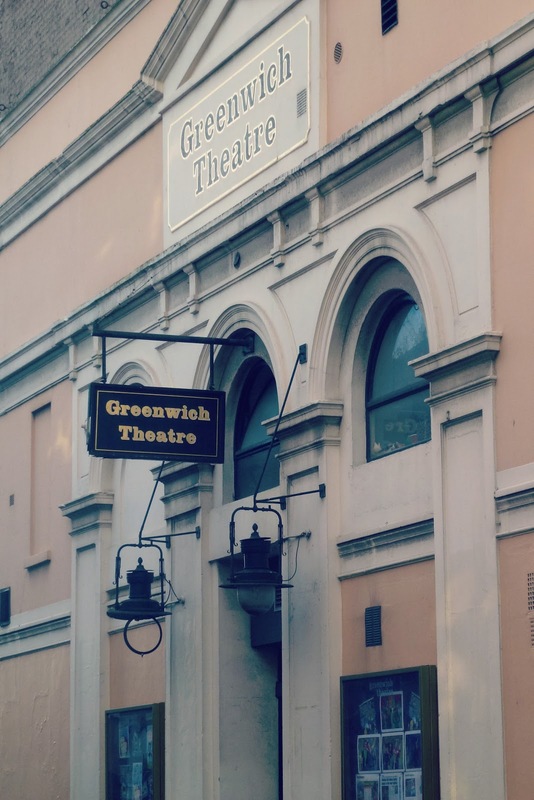 Music, song, dance, bad jokes, sometimes bad acting, men dressed as women, men dressed as animals, topical digs, evil people who in the end come good, slapstick and tons of audience participation. It wouldn't be a good panto if it didn't contain all of those ingredients and Greenwich Theatre's show wasn't half bad. It was especially nice for me to finally have a child in tow, the memories of sitting in a cold theatre in far fetched places such as Portsmouth and Aberdeen full of screaming children waving those neon horrors in my face, came flooding back. I used to dread this time of year when we'd draw straws at the office as to who took what. Panto was never my favourite part of the job. This time, however, I thoroughly enjoyed watching my little girl's face following the action and getting fully involved! Long live the Panto Season I say.